You can find Reports on the right side of your listing page or create report from the tab. 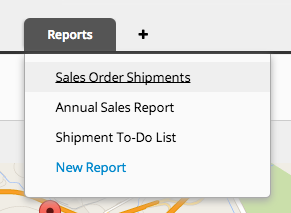 The Reports tab will display reports that you have saved, and an option to create new reports in your account. Ragic can analyze your data to generate a pivot table with the numerical fields in your database according to the criteria you choose. 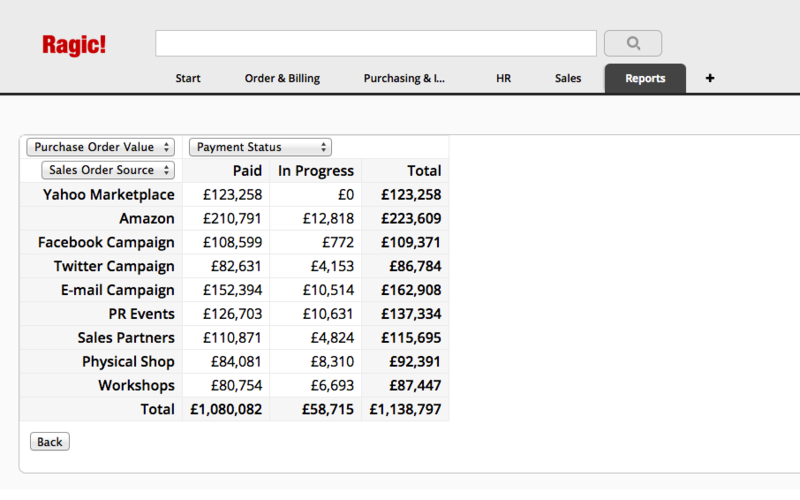 You can change the column field and row field to create the report you need, and Ragic will automatically calculate the total values according to your settings. Below is a chart of the configurations you can make on your pivot table report. Pick a numeric field that Ragic should analyze according to the column and row labels. Pick a field that Ragic should display numeric values for. 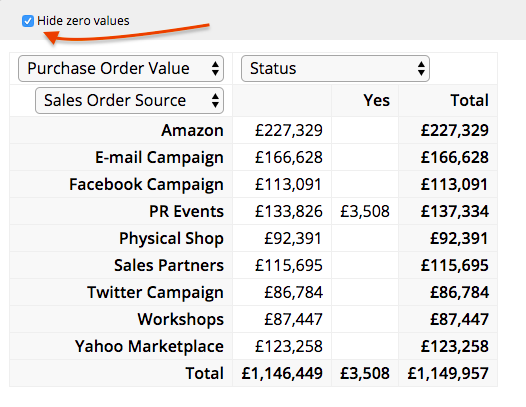 Check the box "Hide zero values" if you would like to hide zeros on the Pivot Table report. This will display a blank space instead. If you generate the same pivot table report often, you can save your report by clicking the Save as a report button that comes up on the right side when you generate a report. You can also save as a pdf file or print your report by clicking the print icon on the right side. If you want to hide the border of report when printing, you can click the border icon on the right side. You can find your saved reports under the Reports tab for easy access. Your report will be generated according to the filter you have applied, but you can also generate reports for a certain shared view to display results within a different filtered criteria. If a fixed filter view is applied to your sheet, the report will display results accordingly. 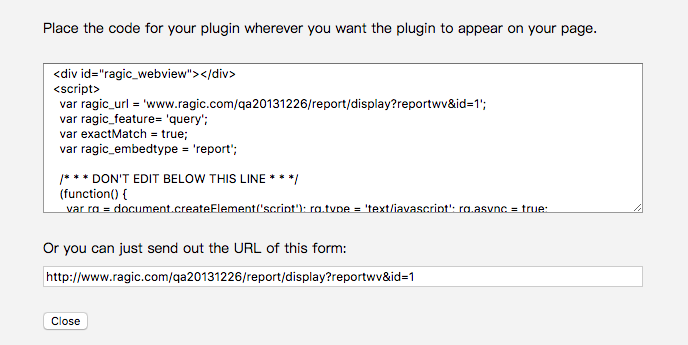 Ragic applications provide you with a tool to embed reports on your website. Alternatively, reports can be sent as a separate link to others. The report embed tool can be found by clicking the </> icon in the upper right corner on any report. Learn more about Ragic: Why we created Ragic | Webinars | User Guide. Keep in touch: Blog | Email | Facebook | Twitter.